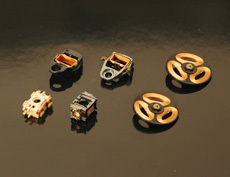 Coil Assemblies – Shibata Co., Ltd.
Our years of experiences and proven records on optical pickup coils enable us to provide optimized solutions on coils. We are capable of adapting flexibly from overseas and/or domestic prototyping to mass production of the molding and assembly of coil winding for precision coils and holders. Optimum for industrial products that demand high reliability such as automobile components. It is a production system capable of handling integrated production from core punching, powder coating to outer and inner windings.